The Rob Benzon Foundation, a local 501(c)(3) organization, has been hosting its annual Pride kick-off event for fifteen years now. 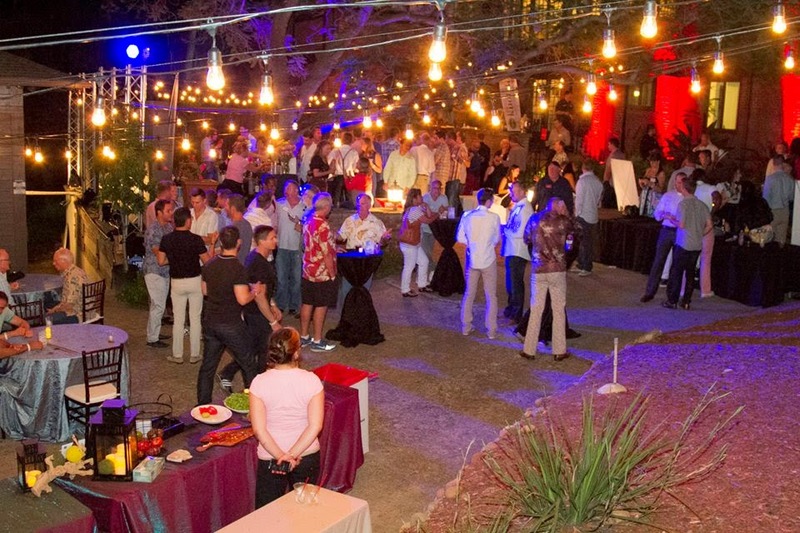 Starting out as a back yard party, the event has grown to be known as one of San Diego’s premier Pride events. Taking place on Friday, July 18, from 6 to 10pm at the historic Burnham house on the edge of Balboa Park, the event will include a hosted bar, bites from area restaurants and a silent auction, all to benefit the longstanding charitable efforts of the foundation. SanDiegoVille has 2 general admission tickets for one lucky reader. Enter below and we'll contact the winner by email no later than July 17! 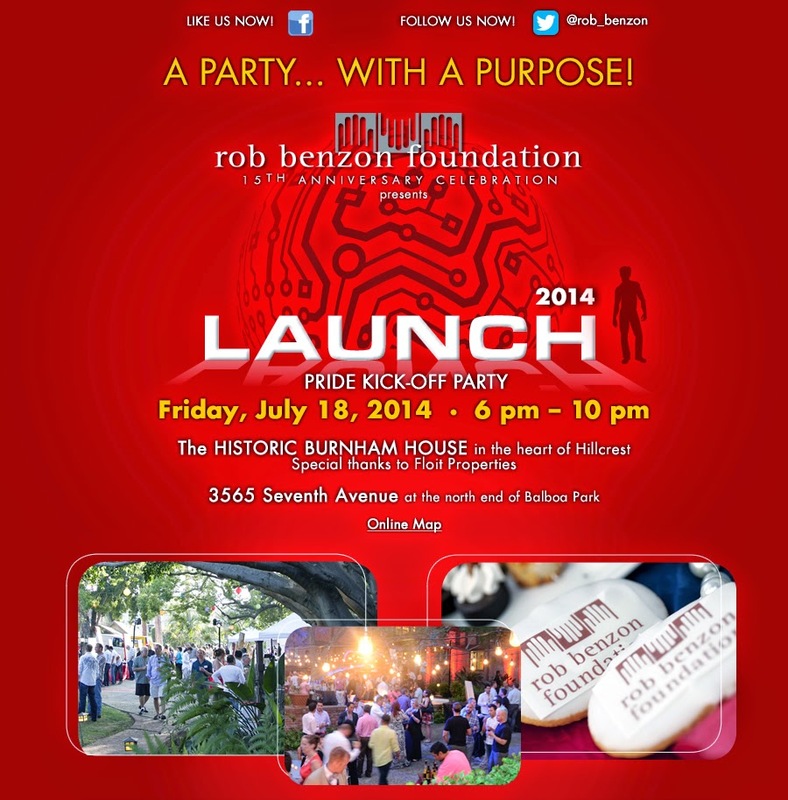 Enter for a chance to win 2 passes to the Rob Benzon Foundation Pride Kick Off on Friday, July 18! On Saturday, June 5, 1999, the San Diego Community lost a great friend in Rob Benzon. This vibrant and inspirational 31-year-old drowned in a sudden ocean rip-current while on vacation in Acapulco with many of the current Foundation board members. His sudden death was devastating to all those who knew him. At Rob’s memorial service, Rob’s friends and family took up a collection to make a donation in honor of their friend. Rob’s mother, Connie, matched the total amount plus added the proceeds from selling Rob’s possessions. The Rob Benzon Memorial fund was started with this $10,000 and the intention to help those in need in Rob’s memory. The friends continued to add to the fund by soliciting donations from guests at their annual parties. The guiding principle was to bring friends together, have a good time and allow people, who are not normally philanthropic, to give a small amount of money to attend the event. When aggregated, this money was used to make a difference in someone else’s life, to bring them unexpected hope. As donations from the fund were collected and people in need benefited, the friends were inspired to do more to continue Rob’s legacy. They incorporated the fund into a registered, non-profit 501(c)3 and called it the Rob Benzon Foundation. The organization continues to raise money and grant funds for the purpose of making a difference in someone’s life and bringing unexpected hope. Island Prime/C-Level – One of their food trucks, if available. The mission of the Rob Benzon Foundation is to provide unexpected help and hope to individuals in the San Diego community who are suffering from a personal catastrophic event, not of their own making, who are in need of emergency support for actual expenses. The Rob Benzon Foundation board, along with the generous host committee, sponsors and underwriters, provides everything needed to produce the fundraising events without any paid staff. Because of the volunteer efforts, 100% of the ticket sales are donated back to the San Diego community in the form of grants. To date, over $100,000 has been given back to the community. Ticket buyers as well as those donating goods and services do so knowing that that ALL funds raised through ticket sales will be distributed directly to worthwhile individuals and causes, without a penny going to overhead expenses. Additionally, the foundation helps individuals through local charitable causes serving the youth and the LGBT communities where specific needs can be identified. The grants to organizations do not support general fund or overhead expenses, they are directed to specific causes, individuals, or events that the organization can isolate as being consistent with the mission of providing unexpected help and hope to qualified individuals. Rob Benzon was a lot of things to a lot of people. What he did most was to remind people that every day is a precious gift. He took great pleasure in making others smile. He is smiling down now and his laugh still resonates in the ears of his friends and in the smiles of those who are helped in his memory. His infectious laugh and reassuring presence, along with his willingness to help others, is missed every day. Never a wealthy person, Rob gave generously with his money, his time, and his love. The work done is in memory of him. To purchase tickets for the upcoming event, learn how previous donations have assisted others and for more information about the Rob Benzon Foundation, visit robbenzon.org.